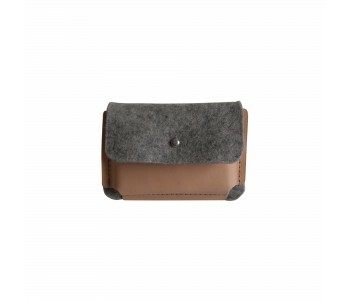 This felt credit card holder Malmö by Rowold is made of high-end wool felt and light brown cow leather. The envelope shaped wallet comes in black, red, taupe, and blended grey. The small card holder is suitable for credit cards, public transport cards, or your business cards. Keep your important cards close with Malmö! The sleek design of this card holder is based on the standard size of a credit card and is therefore suitable for any credit or business card. This felt Malmö credit card holder by Rowold is made of wool felt that is 3 mm thick. This is a water and dirt repellent natural product made of 100% wool. It is firm and soft and offers excellent protection for your important cards. 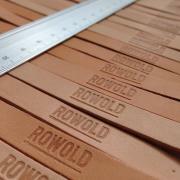 The wallet is available in black, red, blended grey, all with a leather front.